Inside this small building on Augustinergasse a food and drink paradise awaits. 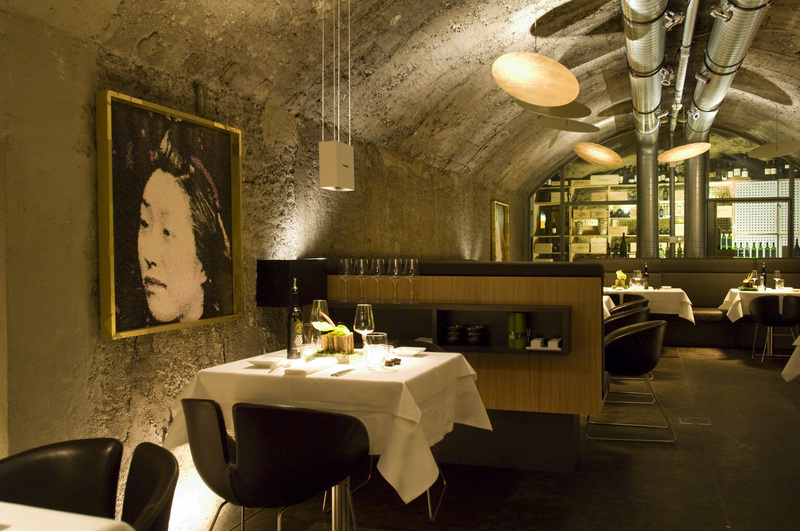 In this gallery built into the Mönchsberg, restaurant, winebar, gourmet food store and cooking school come together to form and lively gourmet cosmos around the central courtyard. And despite a Michelin Star and two Hauben, Magazin is anything but stuffy – and at any hour since the kitchen is open around the clock. Known throughout the city for its beef tatar, the foie gras assortment is also highly praised. But the „right through the Magazin“ four-course menu is certainly the best way to taste your way through their Austrian classic and beloved interantional dishes.